A lot of entrepreneurs only bother about their detailed business numbers and financials when they need a bank loan or an external fund. They seldom see the need to be on top of their business numbers at all time. In today's special post, I will show you the business numbers that matter a lot and that you have to get right always. If you have ever looked through a financial statement or had to make a detailed financial plan, then you would have come across the words COGS and SGA. COGS stands for cost of goods sold. If your are in the manufacturing industry and you buy N5,000 worth of raw materials to make each unit of your finished product. Your COGS is N5,000 per unit product sold. SGA stands for selling, general and administration. If it costs you N1000 to get each product to a buying customer (this will usually include the costs of advertisement, company administration, payroll and other general expenses that can't be classified under COGS) then your SGA is N1000. Usually, you can't influence your COGS (much). The price of your raw materials are outside your control and often the maximum you can do is to negotiate for a discount. But you can always influence your SGA. In the case of the manufacturing company above, you spend N1,000 to make a sale. The only way your company can grow is if you are able to make enough gross profit to cover this cost. You will have to sell your finished product for above N6,000 or bring down your SGA cost (but still sell well above N5,000). Otherwise, you'll soon be out of business. The trouble is most businesses don't compute their actual SGA. 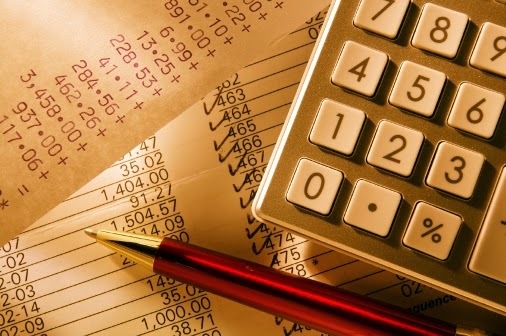 They often deduct the COGS from revenue to compute profit, but that is called gross profit, not operating profit. Operating profit is Revenue - (COGS + SGA). They only look at their company bank statements to make estimates of operating profit. If you are a small business, I will recommend you use QuickBooks to track all your expenses and compute your SGA. This is the amount you spend to convince someone in your market to buy your product/service and become a customer. It will involve cost of marketing, incentives/promo and research. This business metric is very valuable. It helps you to properly consider if a new market or a particular customer is worth the cost. Not all customers are equal. If you know your current cost of acquiring a customer, then you will know when to stop spending to get a particular customer. You will be able to avoid spending too much on one customer to the detriment of other customers you could acquire for less. Once you're in business for a considerable length of time, a pattern begins to form. You'll begin to notice that some customers keep buying your product/service and some only buy once. One metric you should begin to compute when that pattern seems steady is your customer lifetime value. It is the net profit you make from your average customer. And it is also the upper limit to the amount you can spend to acquire a new customer. Every one of your marketing strategy, especially promo, should be built with this number in mind. This is the ratio of your sales to inventory. It is practically the number of times your inventory is sold in a specific time period (usually a year). If you have a stock of N1 billion naira inventory but only manage to sell N10 million naira, then something is wrong. You are incurring a lot of inventory storage cost and the risk of having an obsolete inventory. You should reduce your inventory to less than N50 million naira at a time so you can have enough for your sales and not too much to incur unnecessary costs and risks. And if you sell perishable goods or seasonal goods, you should keep the ratio close to one. Depending on the size and type of your business there are several other business numbers you need to get right. Do You Have A Sales Strategy? Every business needs a sales strategy. 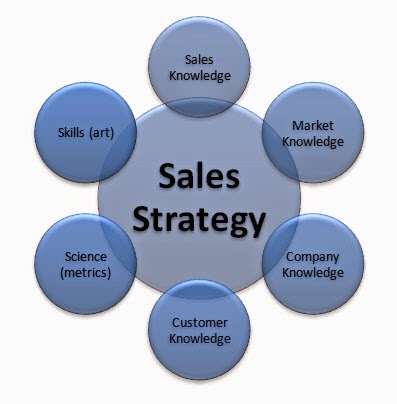 A sales strategy is your detailed plan of whom to sell to, how to get them and how to ensure they keep buying. It centers around customer acquisition, customer retention and revenue growth. All businesses have sales people, even if it's just one person (the founder), but not all businesses have a sales plan. Most businesses are yet to realize the need for having on paper a detailed plan of how they will acquire customers, retain them and grow revenue. A lot of businesses have salesmen who are simply saddled with the task of meeting a sales target. No in-house thought out strategy for the long term. The sales team ends up engaging in short term unfocused strategies that damage the company's long term profitability and brand. So, do you have a sales strategy? If you don't have one, then it's time you made one. And we will help you with the process. The size of your targeted market. 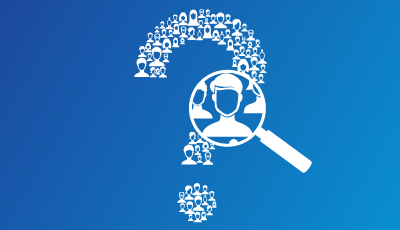 How many potential customers are there, how much they can afford to spend on your product and who are your competitors. The selling points of your competition. How they convince the people in your targeted market to buy their products. The dissatisfaction or pain points of your targeted market. What your competition is not doing right. The spread of your targeted market. Do they all reside in one geographic region or are they spread across multiple geographic regions. What is it that uniquely binds them. Now that you know your market and the competition you are up against, you should set yourself a reasonable sales goal. Make it detailed and not just something as vague as "N100 million in 1 year". Break it down to N200,000 a week by selling 10,000 units of your N20 product every week. A sales goal must be broken down to daily sales if your type of business allows it. You should be able to tie it to a specific number of sales, at least, per month. Now that you have a sales goal, you need to make an elaborate plan that will help you reach the goal. This is where you'll need your CRM data (we talked about CRM last week). You need the details of how many customers you have to pitch to make one sale, and how long it takes you to make that one sale. If you to talk to 10 people to make 1 sale and 1 week to finalize that sale, then you will know that you'll need to talk to 1000 people to make 100 sales. And if you can only talk to 100 people in a week, you should know that it will take you 10 weeks to talk to 1000 people. So it will take you about 10 weeks to make 100 sales. Doing this sort of analysis will help you figure out if you need to expand your sales team or review your sales goal. This is the last stage of building a sales strategy. You have made your sales goal, what is left is to implement the plan and track your success. Have daily and weekly trackers that show you how you are faring. Include your goal as a benchmark in your CRM software. Have a dashboard that shows you a visual of sales activities against your goals. And keep reviewing the sales strategy. Always be ahead in your chosen market, update your sales goal, keep fine tuning your sales plan and find cheaper effective ways to implement your plans. You should aim to constantly reduce your cost of acquiring a new customer. If you need further help, especially with building effective and professional trackers and dashboards, you can always contact us. There is one fact you need to know, whether you own a business or intend to start a business someday, and it is that one thing that can make your business thrive -- Customers are everything. You could have a great business solution, a revolutionary company, a superior product or meeting a unique need. If no one buys your product or service, your business won't thrive. Your customer is more important than your product. Your product should keep evolving with your customer needs and preferences. So the most important business investment you can make is to invest in knowing your customer. Don't let all the customer data you get be their names and the other sales data you get while creating an invoice or sales report. You need to know what they think about your product, the unique ways they use your product, their expectations and what they would like to see you improve on. Don't be like the banks and just pile up bio-data of your customers. What you should be gathering is their interactions with your product, the needs they want your product to meet and their suggestions of how you can improve your products. In every business, the customer is the king, whether you treat them like king or not. But you are better off treating them well from the start than trying to re-win their patronage when they discover someone else who is treating them better. And to treat your customer well you need to understand the customer. You need to interact with them beyond the sales closure. You need to have a system that helps your know your customer better, track their activities and initiate a two-way communication between you two. You need a CRM. CRM stands for Customer Relationship Management. And a CRM software helps you automate and make strategic use of customer relationship data. Regardless of the business you run, you need it. In UrBizEdge we use BaseCRM. It's a fantastic CRM that fits our need. We've tried a couple of CRMs and decided BaseCRM worked great for our small team. It tracks our customer phone calls and collects a summary of each call discussion. Tracks our leads and handle the funneling from lead to prospective customer and a purchasing customer, and other recurring deals and opportunities. It tracks our email correspondence with our customers and help us keep in touch with everyone. It helps document relevant data about leads, prospects, customers, deals in the pipe and sales made. Best of all, you could automate keeping in touch with your customers, auto reminders. For your business you might need a bigger CRM solution, like Microsoft Dynamics. But the bottomline is you need to know your customers well, even before they make a purchase (when they were simply leads). And you need to be in constant touch with them. 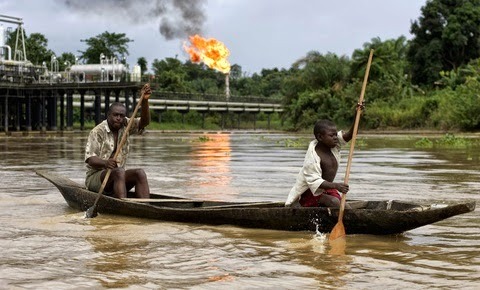 When we hear of resource curse we think of Nigeria as a whole or the oil producing communities in the Niger Delta. We think of politicians and government corruption. But it is not only in nations and communities that we can find resource curse. Companies and businesses also suffer resource curse. And that is what I'll explain in today's special post. Resource curse, like we often say, is suffering in the midst of plenty. It sounds like a crude definition, but it's a completely sound definition. It results from mismanagement of abundant resources in a form so extreme that the nation or community or company that owns the resources gains little from it and pays dearly in labour for it. The gains go to some other nation or community or company. Resource curse at a corporate level is a result of extremely poor corporate management and plenty of resources (labour and available capital). The obvious examples are public corporations like NITEL and PHCN. NITEL had everything -- fund, labour and monopoly power -- and still crumbled because of terrible management. In the private enterprise world, it's harder to point out clear examples as most private companies experiencing resource curse simply fizzle out without most people noticing. The only example I can give that drew public attention is HiTV. A company that had everything going right for it except its management. It had an unusual brand acceptance, better than the competitors it met. So how do you avoid a resource curse? 1. Know why you are succeeding. One peculiar thing in all cases of resource curse is that there was a very high initial success. Every little effort at the beginning was yielding amazing results. And it led to access to good supply of capital and labour. The issue was that most had little factual explanations of why they succeeded. No elaborate data gathering and effective KPI analysis. In business nothing is worse that being successful and not knowing why. It is a precarious state. The other great feature of a resource curse is waste. Inefficiency. When the management focuses on being efficient, on monitoring their KPIs and making business decisions that aim at reducing cost and increasing revenue, it will be impossible to become a victim of resource curse. Thriving companies/businesses are continually investing in technology and improving their business processes. It's the guaranteed path to remaining successful and relevant. Are you experiencing business success at a level beyond your expectation? It's time you monitored all aspects of your business closely to avoid resource curse. We can help you develop a robust KPI dashboard and business data analysis template. As professionals it's very hard to balance our work life and family life, and almost impossible for those of us who live in Lagos. In fact, a few of us have given up and the rest of us find it a constant battle. In today's productivity post, we are going to help you win this battle and for the few that have given up, we are going to give them the push they need to get back in and win. As we do in businesses, having a plan matters. In fact, no one should have a family without having a family plan, just has no one should start a business without a business plan. And then just as no business plan is final, a family plan should always be revised. The good thing is that most of us have a well structured job or work life. We know just how much to put into our work life. The only part we struggle with is our family life. We find it hard to figure out just how much time is optimal and where to get the time from. And it's a problem that has motivated a lot of professionals to change their jobs and still not find that balance they seek. Without much ado, we will be diving into the three steps you need to take to win this balancing work and family war. Just as your work has the highest priority during office hours, so also your family has the highest priority outside office hours. The same way you wouldn't chat with your company's gateman during work hours, you shouldn't also after work hours. The only way you can have time for your family is if you let go of those activities that waste your time. Activities you detest during work hours. Outside work, your family is your office. And just as you need a good excuse to take a day off work, you also need a good excuse to spend family time on something else. So again, the first step you need to take is to put your family first, treat them like your work after work. Whatever will take your time after work must be worth it, and not occur too often. We all know the saying: "He who fails to plan, plans to fail"
Having a family plan jointly developed with your spouse and children (if they are big enough) is key to building a strong healthy family and having a balanced work - family life. A family goal is the consolidation of the goals of every member of the family. Your own professional goals, your spouse's, the goals for your children and every other personal goals. When everyone is involved and aware of these goals, achieving them becomes less strenuous and updating them becomes very easy. The only hard part is having a financial budget for the family. A financial plan that will take into cognizance the plans of everyone today and for the future. But that is why we are here, UrBizEdge, to help you with your hardest analysis issues. To help you get to your goals faster and better. And we have taken the initiative to make you a comprehensive Family Budget Sheet. You can download it here and even share with your friends and relatives. Now that you have all the resources that you need -- more time from having eradicated time wasters and a great family plan -- you need to find a strategy that will make the most of these resources. You need to spend every hour outside work judiciously. And if you feel your work is taking more than it's due it, you need to do something about it. Once you've figured out a strategy that will help you meet your family plans and financial plans, you have to implement the strategy. A plan is useless if it's not implemented. And as you begin to implement you will discover important things you omitted in the original plan and be forced to make a better plan. In the end you will end up winning the work - family balance war. Don't forget to contact us for your business planning worksheet, budgeting worksheet and Dashboards. 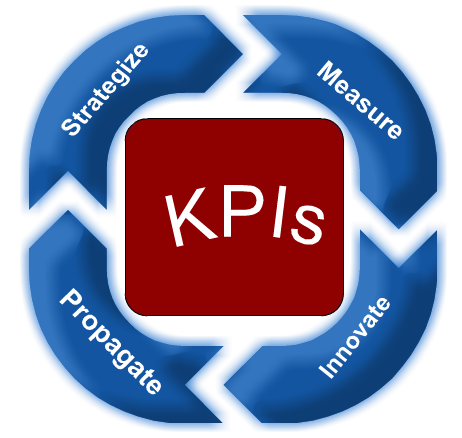 KPI stands for Key Performance Indicator. KPIs is simply the plural, usually referring to a pool of every KPI that is relevant to you or your business. Most corporate managers, business analysts and staff of well structured companies know the meaning and value of KPIs to their company's success. But some do not know the full value of KPIs. They see them more as a management performance grading tool and a buzz word to use at management meetings. And much worse is the fact that most people do not even see the need for having and monitoring KPIs in their professional life (not just for the company). In today's special post, I'll be helping you understand the full value of having KPIs for your professional life and your business/company. The right way to identifying those KPIs. How to monitor them and use them to make intelligent decisions that will propel your career and company forward faster than ever before. Key Performance Indicators (KPIs) are the aspects of your business or professional life that you can reliably measure and monitor, and that most reflect your level of success. Aspects of your business or professional life: KPIs are about your business or professional life. And so mustn't be gathered from sources external to you or your business. The economic growth of Nigeria shouldn't surface as a KPI for you. You have to focus on things that are internal to you and your business. Reliably measure and monitor: In the business world, data makes all the difference. The businesses with the most data have a better chance of success than one without as much data. And that is why there is a multi-billion dollar industry built entirely to sell data, called, market intelligence. But the most beneficial data you can ever have is the one you get directly from yourself and your business. You have to set up a reliable way of measuring every major aspect of your life and business. And monitor them, putting in place a system that shows you how each aspect is trending: Improving or degrading. Reflect your level of success: In reality, no two companies or persons should have the same KPIs. Even if they are competitors. Your KPIs should be carefully picked. You will want to focus on the aspects of your life or business that most reflect your success or failure. And as long as your company has a unique business strategy some of your KPIs will be unique. KPIs are a means to an end: your success. They help you reach your goal as fast as possible and to maintain your success. In business failure is not the worst thing that could happen to anyone, In fact, the most successful businesses today built themselves from the ashes of their failures. They used every failure they encounter to build a better and stronger business strategy. The worst thing that can happen to anyone in business is to succeed and not know why. It's the kind of success you can't keep and can't learn from. It's like winning a gamble. It can't be repeated and it's gains are soon lost. So, much more than getting to your success faster, KPIs are to help your understand your business and professional life deeply. To give you the factual explanations behind your success and failures. To prevent you from groping in the dark. To help you find a strategy that works and can be reused, then updated and reused. To pick these KPIs, you first have to measure everything about your life and business. Record and monitor them, they are your performance indicators. Soon, depending on the nature of profession or business you are in, you will notice a few indicators that most reflect your general performance. These ones are what will form your Key Performance Indicators. They are the one you want to monitor more closely and consider in every business strategy you're making. But it's recommended that you keep recording everything. Occasionally, the business environment changes, and an unimportant performance indicator becomes a key performance indicator. And in almost all cases, the only way you'll know is if you keep looking at all the performance indicators once in a while, and you suddenly notice one indicator showing more an unusual trend. I used to work for the Africa operations team of a leading international telecoms company. We measured churn rate, market penetration rate, revenue growth, customer base growth, average customer lifetime value, average revenue per user (ARPU) and promo success. We do this everyday, holidays and weekends inclusive. We check with projection, with last week's data, last month's data and last year's data. It was a lot of measuring and monitoring. We knew the cause of every sales spike or slump. And we were almost always beating our targets, because we knew and monitored everything about the business. I was in charge of making most of the analysis and daily reporting. I saw firsthand how powerful data can be. And the company flourished because it had managers that use the analysis reports and even ask for endless adhoc reports. Everyone worked with data, and very current data, not older than one day. And that is one of the few places I have seen a correct strategic use of KPIs. Not for employee rewards or punishment but for company success. KPIs work miracles when they are immediately used and everyone from the tech team to the CEO have the same very current data. And it also applies to your professional life. You need to work with today's data, not last year's or your predecessor's. You need to stop thinking you are doing better because you have more resources, you need to consider your return on assets (human and capital assets) whether it's going up or down. When it comes to KPIs, whether you are a company or a professional, you need to measure, strategize, propagate and innovate. And measure again. Finally, don't forget to contact us for all your corporate Excel training needs, custom KPI dashboards, Excel VBA and business data analysis outsourcing. OUR MISSION: To give our clients the business intelligence edge they need using tools they already have. 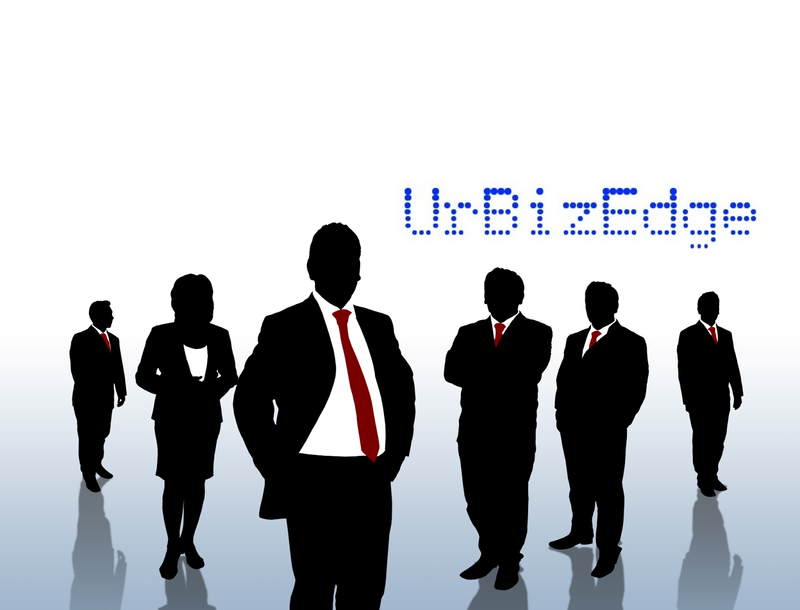 UrBizEdge is a registered business data analysis and consulting firm in Nigeria. We specialise in helping companies be on top of their business data. 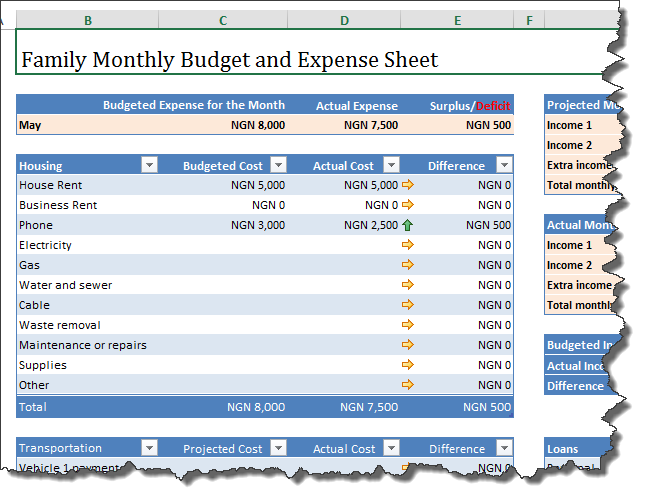 We focus exclusively on the world’s most used and most flexible business intelligence tool: Microsoft Excel. We have the only Microsoft Excel Most Valuable Professional in Africa. And there are just about 125 in the whole world. It’s the highest recognition Microsoft gives an independent industry expert. Our Corporate Excel training is unlike other trainers’. We don’t do fixed outlines and force your staff/team to learn things they don’t need. We work with your team to develop an outline that will immediately impart their productivity and focus exclusively on your business needs. Don’t place the training of your core team in the hands of unfocused trainers, jack of all trainings. We are 100% Excel focused. Your team deserves the best and from the best. In business, speed and accuracy makes all the difference. And that’s what we get you by automating as many processes as possible for you. We eliminate human errors, and get you a powerful tool that is just a mouse click away. Your business depends on things done right always and on time. As many as 10 ad-hoc reports are required in a day. Business decisions are based on reports from today’s data. Professionally made reports that are easy to read and act upon. We are who you need. Reliable and professional business data analysis experts. Always on 24/7.